So have you read any of these books? What do you think? Which should I read next? SAHDE!!!!! I'm on the final book now. Such a GREAT YA paranormal series. ♥ I'm quite impressed with the author’s writing style, imagination and ability to tell a good story.And there's a lot of emotion! And hot boys. #TeamKilt FTW! Ack! I have read none of these. 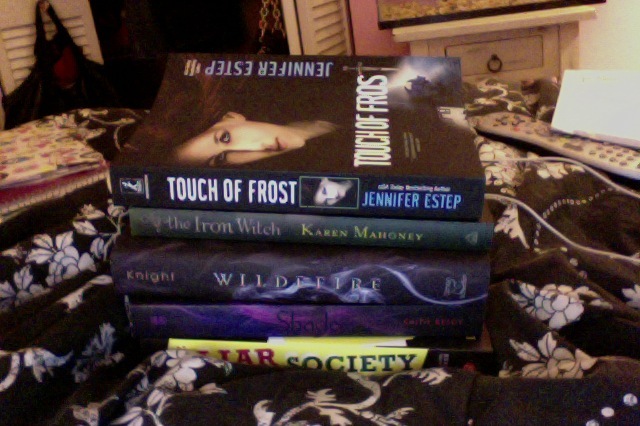 However, WILDEFIRE, THE LIAR SOCIETY, and SHADE are all in my TBR pile, and I look forward to reading them all.